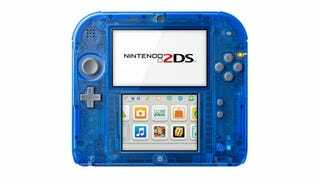 Remember those neat transparent 2DS consoles? Remember those neat transparent 2DS consoles? Nintendo confirmed that they'll be out in North America alongside Pokémon Omega Ruby & Alpha Sapphire on November 21. Each handheld will retail for $99.99, but unlike their European counterparts, they will not come with a copy of Pokémon ORAS pre-installed.